An explanation of the use of maquettes, block posters, steel pipe armatures, and sculpting solid through the conceptualization and engineering of work. 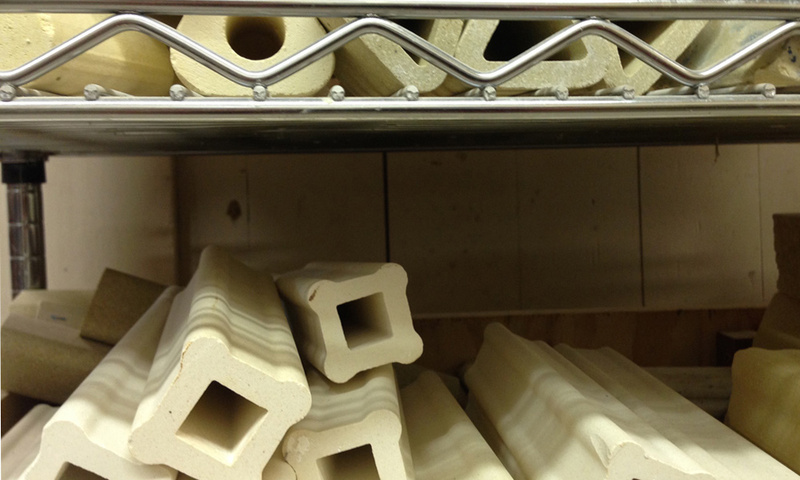 Also follows the process of disassembly, hollowing, reassembly, kiln loading and firing, and finishing. A 3 min. 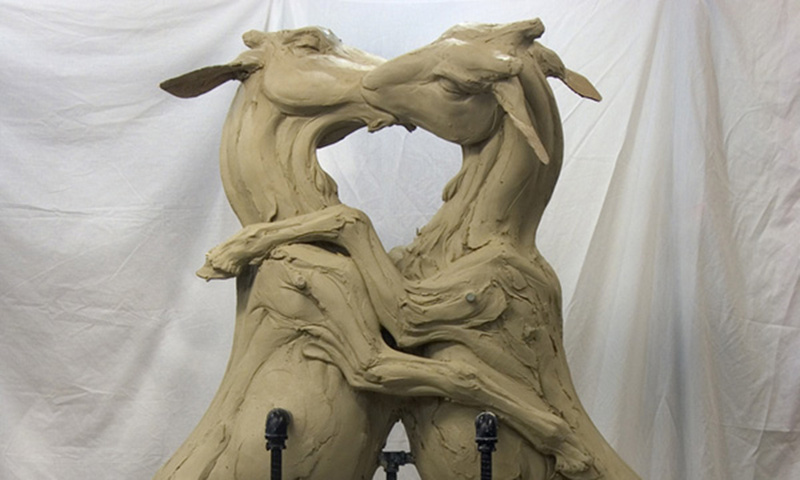 stop-animation video showing the process of sculpting a 600 lb. 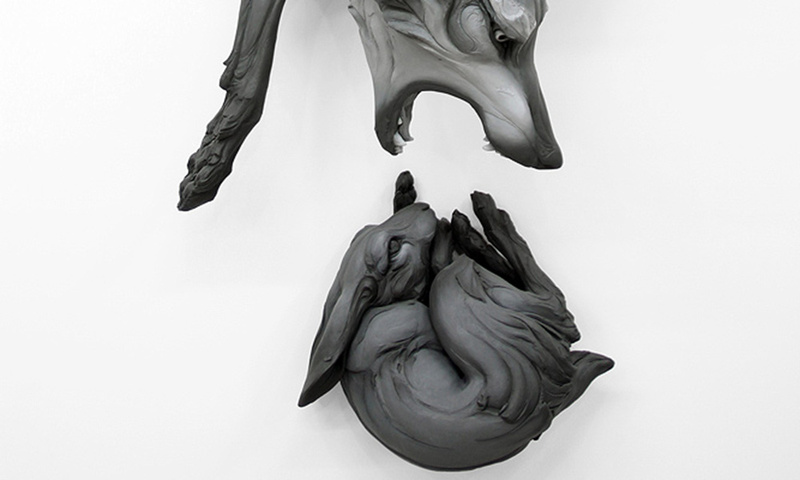 clay wolf figure solid on a pipe armature over a 3-day period of time. This process comprises only 1/8 of the time I spend on the entire process of creating a piece. 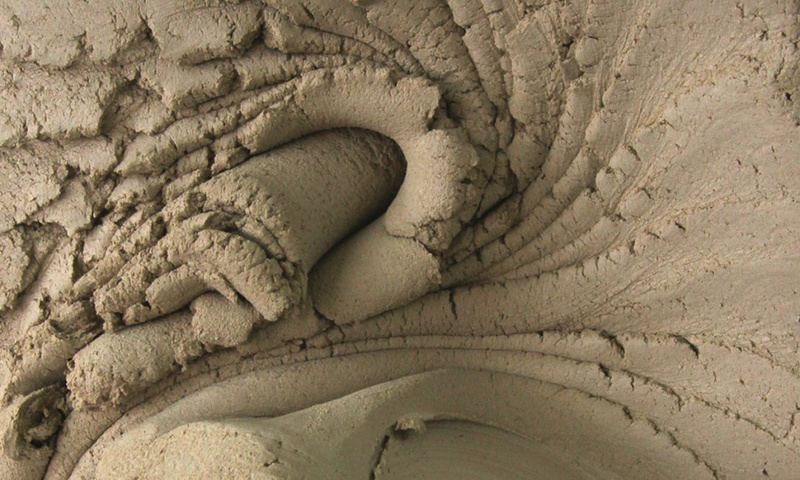 This section shows the construction of the solid clay form, armature removal, hollowing/ compressing the clay walls and reassembly. This is followed by supporting/firing the piece, and post-firing reassembly- using epoxies, cutting, grinding, and refitting the fired stoneware forms. 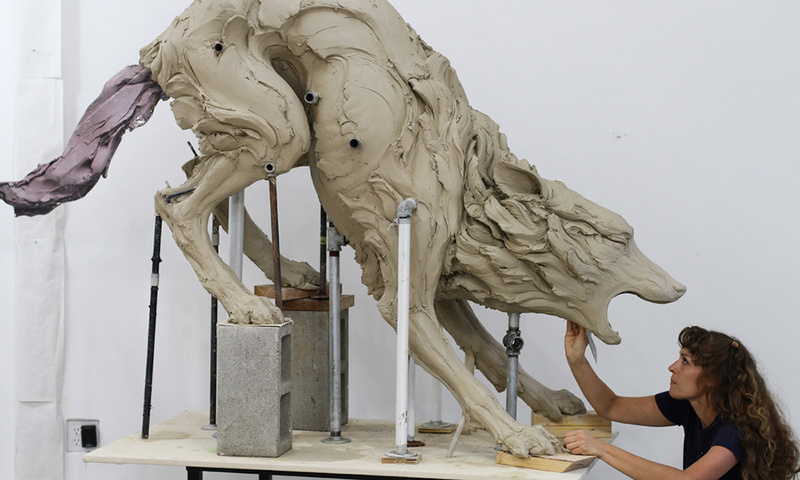 This section is an overview of materials used in the studio in every stage of the process: from the making of maquettes, the armatures, the clay used for sculpting solid, post-firing tools and materials, and final finishing of the surfaces. This section explains my process for firing large, complex, hollow forms in an electric kiln for an extended single firing. I have provided a detailed description of my drying/firing schedule to allow for 18% shrinkage, followed by grinding, sculpting, and refitting the final gesture.